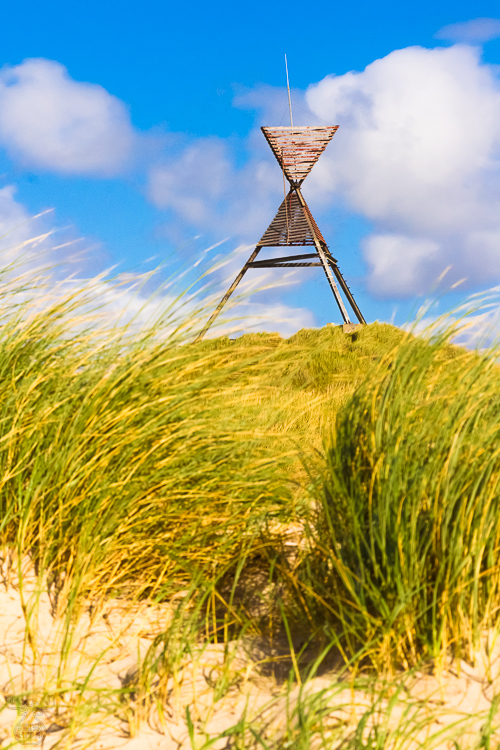 Beacon are landmarks usually exposed on dunes to enable a good sight from the sea. They are - besides natural or artificial other navigation guides such as lighthouses - used as orientation marks for the seamen during daylight. Every one of the 11 beacons along the Western Jutland coastline are unique to be unambiguously identifiable.